Practice tests are a critical part of your GRE prep program. Taking a full-length exam gives you the most realistic testing experience to prepare you for the big day. And the very, very best practice tests come directly from the ETS. In this article, we’ll provide you with downloads of all the official free GRE practice tests there are. 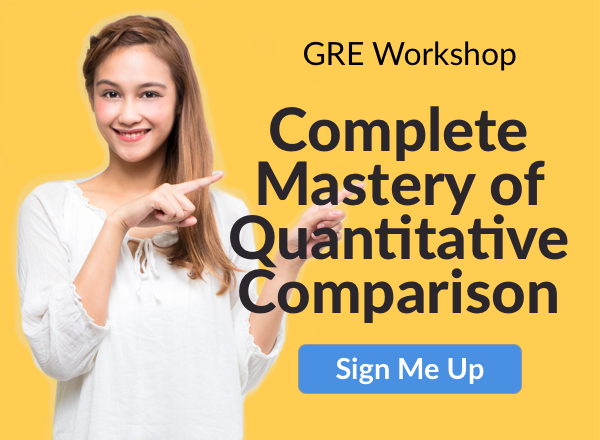 We’ll also give you information on how to buy other official full-length GRE practice tests and explain whether or not they overlap with the free materials. feature image credit: official absent voter/used under CC BY-SA 2.0/Modified from original. There are several different options out there for official free GRE practice tests, all created or approved by ETS. Pros: PowerPrep is the closest you can get to the testing environment you’ll have on test day for the computer-based GRE. This makes it great realistic GRE practice. If you will be taking the GRE with accommodations, PowerPrep for PC also allows you to incorporate in things like extra time, screen magnifiers, screen readers, and so on. Cons: You have to have internet access and be online to use the program, and you have to re-download it after 90 days (although it’s still free). Also, you can get away with not sticking strictly to the time limits by fiddling with the accommodations settings or pausing longer than allowed between sections (since there’s no in-between-sections timer). In addition to PowerPrep, there are two free GRE practice test PDFs you can download. Both of these official GRE practice test PDFs contain substantial overlap with the two PowerPrep tests: the test in the first PDF overlaps with PowerPrep practice test 1 and the test in the second PDF overlaps with PowerPrep practice test 2. If you’re taking the computer-based GRE, you should definitely take the PowerPrep tests first before looking at the PDFs (so you’re taking the practice tests fresh). Pros: Once you’ve taken both the PowerPrep tests, there still are enough unique questions in the PDFs that it’s worth downloading them for extra practice. Cons: These tests are not as good as the PowerPrep software for preparation for the computer-based GRE, so you should not use them as a substitute unless you absolutely have to (for instance, if you can’t use PowerPrep on your computer). One final avenue of official free GRE practice tests is preparation material for the old (pre-2011) GRE. These are for the most studious of test-takers who want every last advantage on the GRE. One full old GRE practice test can be found in the old practice book ETS had available on their website for the old GRE from 2004 up through early 2010. You can use all of the Quantitative Reasoning questions from this GRE practice test; however, be aware that these questions focus less on data interpretation and real-life scenarios than current GRE Quantitative Reasoning questions. All the other Verbal Reasoning questions on this test are either types not asked on the current GRE (antonyms, analogies), or are in forms too different from the current GRE to be good practice. An example of this second type of question is the double-blank sentence completion questions on this test. While these questions are asked on the current GRE, the answer choice format on the practice test (5 multiple-choice answers that pair up possible word choices for the double-blanks) is different from the current GRE, which gives multiple answer choices to choose from for each word blank. Finally, the Analytical Writing prompts in this GRE PDF are different from the ones currently in use, so don’t bother writing essays in response to them. Fortunately, all the official GRE Issues and Arguments prompts that will ever appear on the GRE are free and publicly available, courtesy of ETS – read more on that in our complete GRE writing prompts article. In addition to the above free GRE practice tests, you can purchase additional official practice tests (or collections of practice questions). If you’re buying GRE practice tests, ETS’s Official Guide to the GRE revised General Test (newest edition published 2016) is by far the best value. It contains two GRE practice tests, and except for the Analytical Writing sections (which contain prompts from the Issues and Arguments pool of topics, as would be expected), the practice tests in the book are completely different from any other official GRE practice tests. The Official Guide also has some unique practice questions, separate from the practice tests, which you can use for targeted studying. Official GRE questions are the best study resource for the GRE, making this book very valuable for use in your prep. The paper version of this book’s 2nd edition has the same practice tests plus a CD-ROM with the two PowerPrep practice tests, which is useful if you have an older computer without internet access and with a CD drive. Your computer does have to be a little more modern than this one, though. 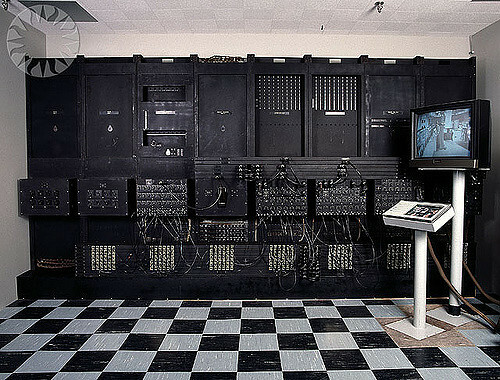 The Eniac/used under CC BY-SA 2.0/Modified from original. Cost: $39.95 for each practice test. You may only take each test one time per purchase and your access to the test (and your results) expires after 90 days. As of August 2017, ETS now offers two paid online adaptive official GRE practice tests under the name POWERPREP PLUS Online. Like the paper practice tests in the Official Guide to the GRE, the two PowerPrep Plus tests contain almost entirely never-before published questions (the exceptions being the two Analytical Writing questions and one Verbal question that’s very similar to a question appearing in the Official Guide). In addition to containing all-new adaptive practice tests and giving you a score and the correct answers to the Verbal and Quantitative questions like the free PowerPrep program, PowerPrep Plus has two other benefits: scoring for both your Analytical Writing essays (via the official GRE e-rater computerized scorer used on the real GRE) and explanations for every answer. Pros: As the only other adaptive official practice tests besides regular PowerPrep, the PowerPrep Plus tests might be good additional practice for students who want to hone their adaptive test-taking skills. And because there’s very little overlap between the questions on the PowerPrep Plus practice tests and any other official GRE practice material, these two practice tests are also a good source of additional official practice questions. Cons: Cost. At $39.95 per test per use, PowerPrep Plus is by far the most expensive official GRE practice test option out there. The reason for the one-time-use-per-purchase setup is likely that ETS doesn’t want one person to purchase a practice test and then let multiple other people retake the test on their account (i.e. The Netflix Dilemma), but this does mean that you’re paying $40 for a one-time experience that you won’t even be able to review after three months. Recommendation: Don’t bother with this unless you’ve exhausted all other official GRE practice questions and test options and still feel like you need more practice. And if you can manage to pool resources with a few friends, you can try to mine the tests for extra questions by taking each practice test three more times (once getting all questions wrong, once getting all of them right, and once getting them half wrong and half right) and seeing what new questions pop up in the second Verbal and Quantitative sections. Cost: $20 per set of two GRE Analytical Writing topics (plus six non-official topics the first time you sign up); essays must be submitted for feedback within six months of purchase date. The ScoreItNow! service allows you to write two essays on official GRE prompts (either on two Analyze an Issue topics, two Analyze an Argument topics, or one of each) and get them scored by the official ETS e-rater software that grades essays on the real GRE. After you’ve completed the two official GRE essay tasks, you’ll have the choice to write essays on six additional ScoreItNow!-created essay topics (three meant to mimic Analyze an Issue topics and three similar to Analyze an Argument topics) and get those scored as well. For all the essays, you’ll receive “additional feedback,” although it’s unclear what precisely this means. You can purchase additional ScoreItNow! official GRE practice essay scorings in multiples of two. Pros: According to an email communication I had with their support staff, ScoreItNow! has a total of six available topics that are taken from the official ETS GRE Writing topics pools (which means you can order the service up to three times and write on real GRE topics). In theory, you could purchase this service once and use it in conjunction with PowerPrep Online for the ultimate realistic GRE practice test experience: write one “Analyze an Issue” essay and one “Analyze an Argument” essay in PowerPrep, but submit it to ScoreItNow! to get feedback on your essays! 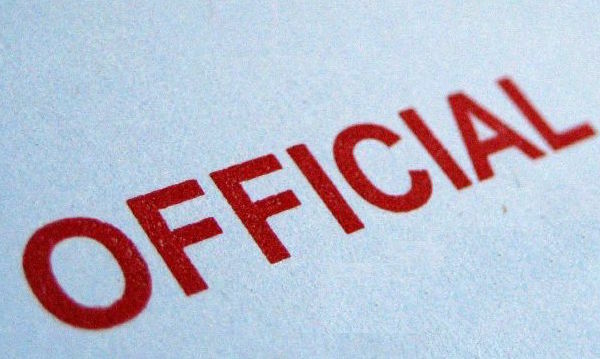 The first time you buy the ScoreItNow! service, you also have the option to write essays and get reader commentary and scoring on“6 free bonus topics” (three unofficial “Analyze an Issue” and three unofficial “Analyze an Argument” prompts). While these prompts aren’t part of the GRE essay topic pools, writing practice essays in response will get you additional feedback on your writing from the e-rater scorer technology and ScoreItNow readers, which could be useful to you. Cons: Cost. After the first time you buy the service (which supplies you with the scoring of 2 real and 6 unofficial GRE essays for $20), you’re essentially shelling out $10 per essay scoring. And with the advent of PowerPrep PLUS, it might make more sense to do that instead, since you’ll get to practice with a unique practice test as well as get your essays scored. Now that you’ve got lots of official questions to practice with, check out our top tips on the best ways to use them in your prep. This means that if you’re taking the computer-based GRE, take a computer-based practice test; if you’re taking it on paper, use the paper practice tests. Not only are the questions presented slightly differently on the paper-based GRE as compared to the computer-based GRE, but the timing and number of questions per section are different as well. There are 25 questions per section on the paper-based GRE, but only 20 on the computer-based GRE; there are also 5 minutes more per verbal and quantitative section on the paper-based GRE. Part of the ordeal of taking the GRE is lasting out the nearly 4-hour test. You’ll need stamina, and the only way to figure out how much the length of the test will affect you is by taking realistic practice tests. You might find out that you tend to make more careless math errors when you’re tired, or that your eyes tend to skip over sentences in reading comprehension passages when the Verbal Reasoning section comes at the end of the test. This is all important information that you can then combat with a solid study plan, building up stamina and being mindful of your tendencies. 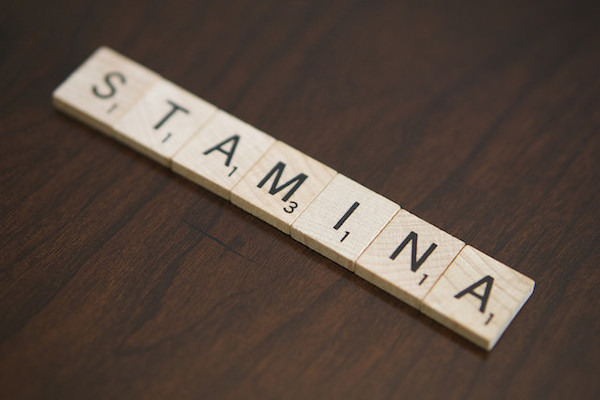 Stamina/used under CC BY 2.0. If you run out of time while using a non-computer-based GRE practice test, continue to answer questions but mark them as answered with extra time (maybe with “ET” or an asterisk next to them). You can then compare how many questions you answered correctly with extra time vs. in the timed section and determine if you have time management problems; if your raw score is more than 3 points different, you’ll need to work on time management. Unfortunately, you can’t do this comparison with PowerPrep software unless at the beginning of the practice test you set up to have 1.5 or 2x time per section. However, then you might not notice when the normal time limit is up, so I’d advise against that approach. This means not just going over the test, seeing which questions you got wrong, and dismissing them, but digging into why you got the question wrong. Was the issue that you didn’t know how to solve the problem or answer the question? Lack of time? Careless error? Or another reason? Keep a list of all the questions you get wrong, along with why you got them wrong, in a notebook or a file on your computer to study from. What other options are there for GRE study material, other than official practice tests? Find out with our complete guides to GRE practice tests and GRE sample questions. Want to drill down deep on the Verbal Reasoning and Quantitative Reasoning sections of the GRE? Read our guides to GRE Math and Verbal practice. How important is knowing vocabulary to your GRE score? We explore useful (and not-so-useful) ways to boost your GRE AWA and Verbal scores with vocabulary here.